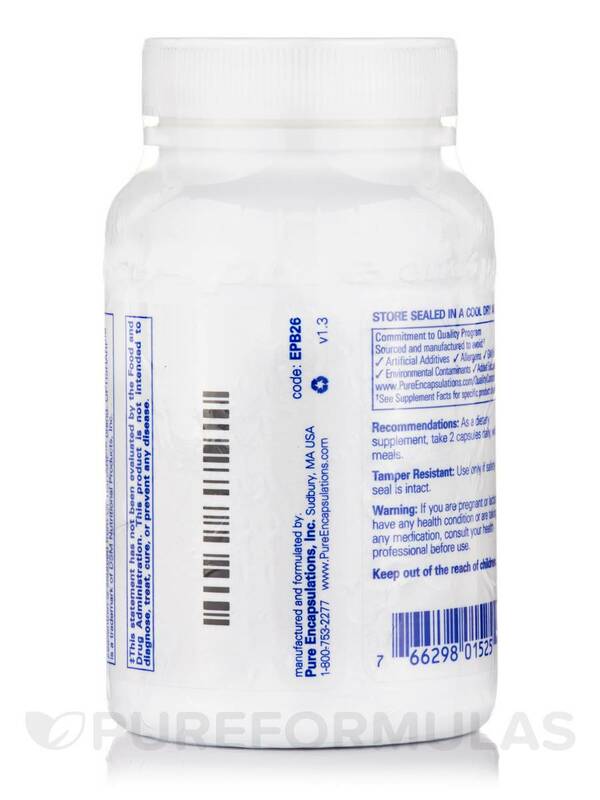 Recommended by Doctor to stabilize onset of Macular Degerenetaion. Last Doctor visit showed no advancement of the condition. Thank you. My Eye Doctor recommended EyeProtect Basics w/o Zinc by Pure Encapsulations for my diagnosis of Macular Degeneration 8 years ago and my condition has stayed stable. As you get older‚ your eyes may need additional nutrition in order to continue functioning effectively. 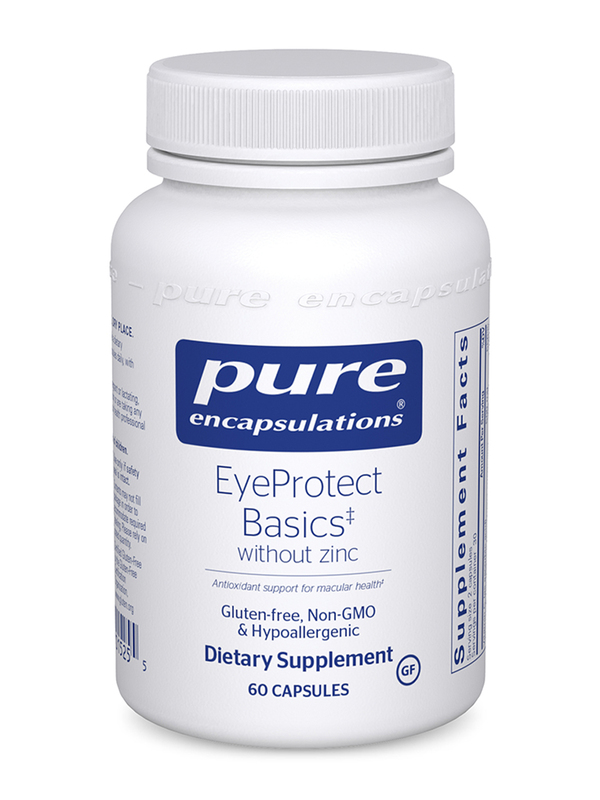 Before resorting to reading glasses‚ you may want to try a supplement like EyeProtect Basics without Zinc by Pure Encapsulations. EyeProtect Basics without Zinc contains easily absorbed forms of vitamins and minerals that can offer support for healthy vision during middle age. Vitamin C‚ vitamin E‚ and copper may work to support the retina‚ the light-sensitive part of the eye that uses the optic nerve to send electric signals to your brain. The yellow spot in the center of your retina is the macula; the macula plays a role in maintaining visual acuity (sharp‚ detailed vision) and alleviating the symptoms of fuzzy eyesight that may interfere with playing sports or driving. EyeProtect Basics without Zinc provides carotenoids like lutein and zeaxanthin‚ which can fight off free radicals by serving as antioxidants; these carotenoids may also help support the density and integrity of the macular pigment that works to protect ocular tissues by filtering out certain forms of light. 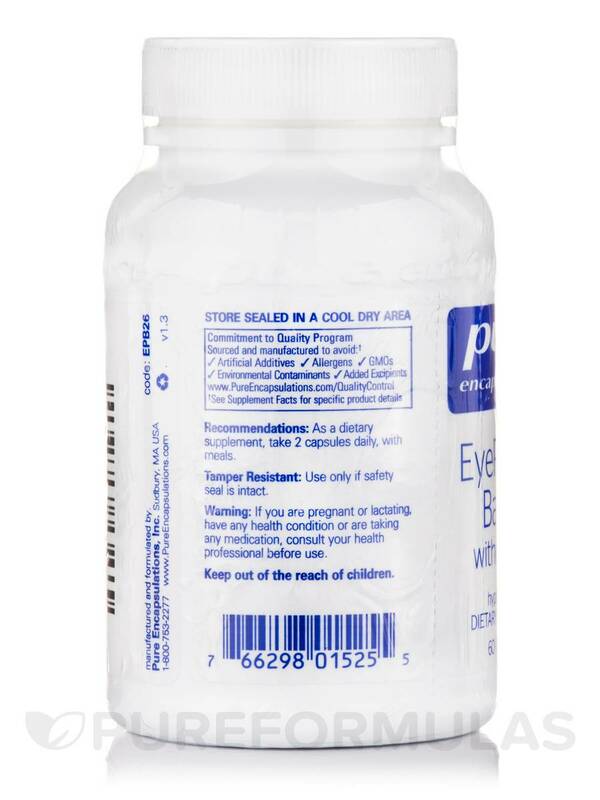 Every bottle of Pure Encapsulations’ EyeProtect Basics without Zinc could help you see more clearly for about one month. As a dietary supplement‚ take 2 capsules daily‚ with meals. The capsules are easy to swallow. Special Formula will I believe will protect my vosion. are there any dyes or artifical flavorings or ANYTHING not organic? Hello Kimberly, thank you for contacting PureFormulas. 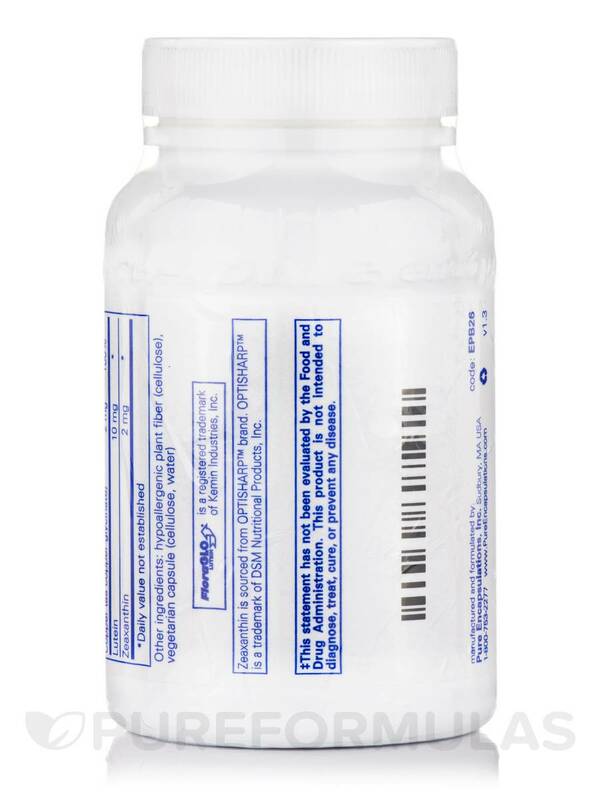 Products display on the bottle under "other ingredients" if they contain any fillers, dyes and/or atifical flavoring. 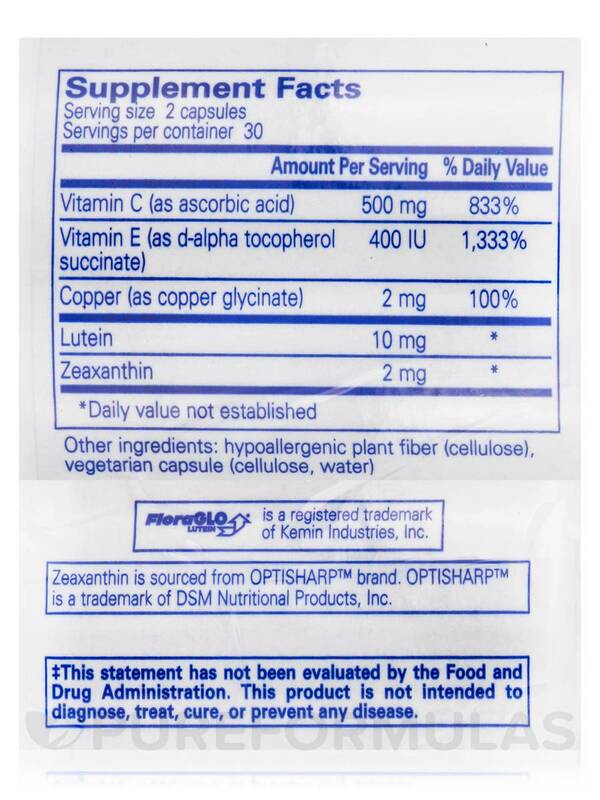 This product contains hypo-allergenic plant fiber and vegetarian capsule in the list of other ingredients. 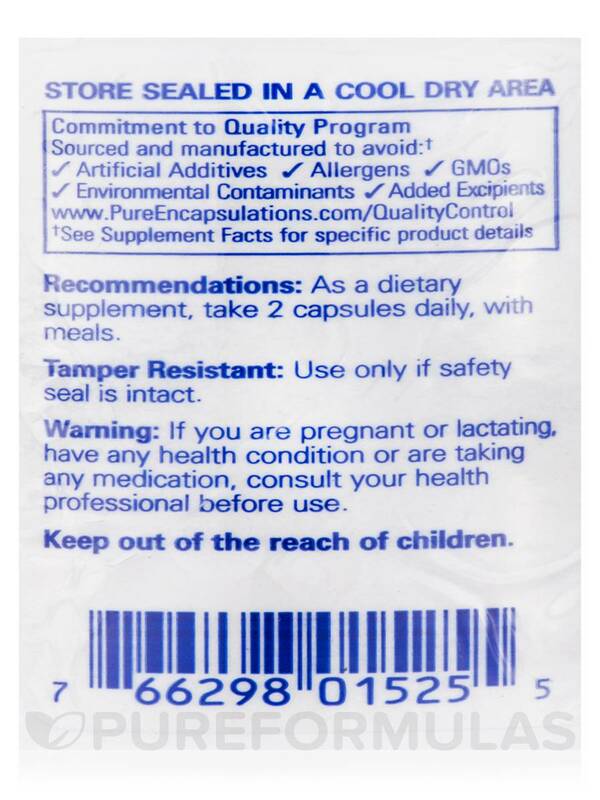 For more information on the ingredients we suggest contacting the manufacturer Pure Encapsulations.